Enjoying new teeth is more comfortable and predictable than ever before thanks to our customized treatment options. Instead of wearing dentures or partials, our patients find that dental implants offer a lifelong alternative that looks and feels closer to natural teeth than any other type of restoration out there. Dr. Konopka will see you for a consultation to determine whether implants are right for you. She’ll thoroughly examine your bone along with x-rays of the area in question. As we discuss which type of restorations are appropriate to meet your goals and expectations, you will have an option to choose the one that meets your aesthetic and function needs. 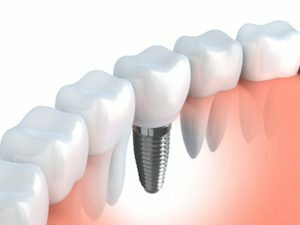 Should implants be the best option, we will arrange for you to have your implant surgery nearby at Mission Hill Dental on the West Side of Santa Cruz. Dr. Cheng at Mission Hill has extensive experience and training in oral surgery. Bone grafting and soft tissue grafting therapies are also available to help in areas that might not otherwise support an implant. While your surgical site heals, you will wear a temporary prosthesis to retain the spacing and aesthetics. About three to four months later, Dr. Konopka will place the permanent restoration. Single Crowns for Individual Missing Teeth — Single tooth replacement with a conventional bridge results in compromising two healthy teeth to support the restoration. Instead, a single implant can be topped off with a tooth colored crown for easy care and maintenance. Durable BruxZir and Zirconia materials are both strong and aesthetically pleasing. Multiple-Tooth Implant Bridges — There is no limit as to how many teeth you can replace with an implant supported bridge. We can even replace an entire arch with as few as four implants. Overdentures/Implant Supported Dentures — An implant retained or supported denture is an easy solution to uncomfortable, bulky prosthetics. They can be supported with as few as two or four implants that clip in and out or are permanently anchored in place. They’re a great alternative to wearing a denture that always feels like it’s slipping. Out of all treatments in modern dentistry, implants have the greatest success rate for our patients. There is a 98% success rate when placed properly and well maintained! Plus, the design of implants mimics the natural anatomy of your real teeth. The artificial roots enhance your bone support, so neighboring teeth benefit from additional stability in the future. No insurance? Limited coverage? Ask about our membership plan to get a discount on your implant restorations and save 10-20% on options like porcelain crowns and bridges. Unlimited digital images are included. Call us today to schedule your next visit with Dr. Agata Konopka. New patients are always welcome, and you’ll never have to feel rushed or pressured into treatment that you don’t want. We’re just happy to help you improve your smile.